135 South Turnberry, James City County, VA 23188 (#10251853) :: Abbitt Realty Co. This is the Fords Colony golf front lot and home you have been waiting for! An immaculate home in Fords Colony, on a premium golf course lot. Expansive golf views and a quiet cul-de-sac location in the South Turnberry section. 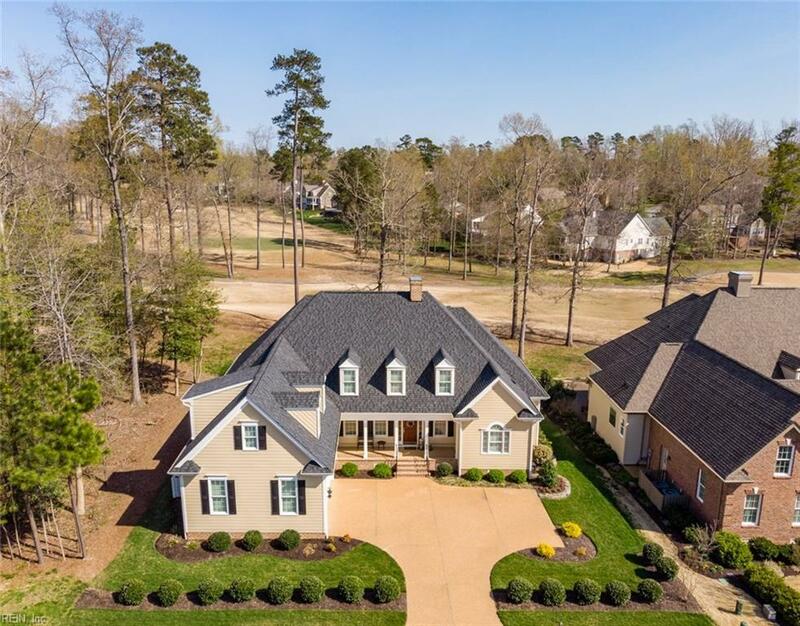 Park-like view from your front porch and panoramic golf course views of the Blue Heron 10th and 11th holes from your rear screened porch and deck with power awning. Extensive millwork throughout, chefs kitchen with high-end granite countertops, soft close cabinets, a large work island and Jenn-Aire appliances. Large master bedroom with bay window. Luxurious master bath with soaking tub and separate his and her vanities. A beautifully landscaped home, with a backyard patio for entertaining. This energy efficient home has a high efficiency furnace and air conditioner, tankless water heater and conditioned crawl space. A rare find for a newer home on such a gorgeous Fords Colony golf course lot, dont miss this opportunity to own your dream home!